Matchday: West Ham To Break Away Duck At Everton? Looking forward to the Hammers securing their first on the road win of the season. The battle for the club in greatest disarray enters a new phase today as West Ham travel to the usually unproductive north-west to fight it out with embattled Everton. There was a period where the Hammers looked likely to overtake early season pace setters Crystal Palace in the shambolic stakes but after the weekend results Everton have dramatically claimed pole position. If Burnley and Watford are the two surprise teams of the season so far (in a positive sense) then West Ham and Everton are their mirror image. Everton in particular, after a healthy finish in 2016/17 and a heavy investment in the squad which gave the look of a good balance between youth and experience, have performed woefully. 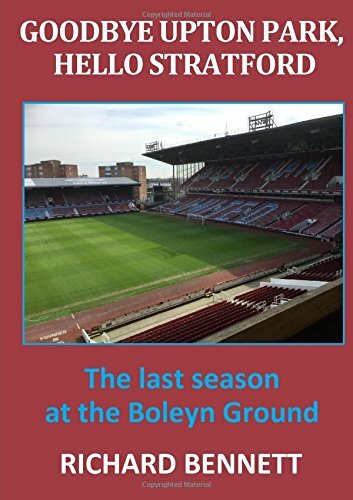 In the same way that West Ham’s swagger in Slaven Bilic’s inaugural season relied heavily on the exploits of the moody French free-kick specialist, it seems that Everton’s fortunes were largely courtesy of the steady supply of Lukaku goals. Failure to replace the prolific Belgian cost Ronald Koeman his job and Everton’s failure to replace Koeman is costing them dearly. Caretaker boss David Unsworth, briefly a Hammer whose family couldn’t settle in that London and who seems to have eaten too many of his homesick wife’s pies, is experiencing a torrid time in his fifteen minutes of managerial fame. Tonight could well be his last hurrah and it is up to West Ham to take the initiative and expoit the turmoil that exists at his club. Who dares wins! The return of David Moyes to Goodison Park adds a further ingredient to the contest. Moyes built a solid reputation while at Everton only for his stock to be devalued significantly since his departure. His new charges showed fleeting moments of recovery in last Friday’s home game against Leicester and he will be hoping that the improvement can be continued at his former home tonight. No doubt that Everton are something of an historic bogey team. The Toffees have won exactly half of the one hundred and thirty six games played, to West Ham’s uninspiring thirty-one. Of the last twelve West Ham have won only once; the late, late comeback show two seasons ago. Goodison Park (along with the majority of north-western venues) has never been a happy hunting ground with the Hammers winning just eleven and drawing twelve of sixty-four. Prior to 2015/16 the most recent win was in December 2005. I would expect Moyes to start with a similar eleven that took to the field last Friday meaning another chance for Andy Carroll to prove that he can earn his keep. He wil need to up his game considerably. Everton were appalling at Southampton. They were disorganised at the back, ponderous in midfield and lightweight up front and may well be tempted to give Rooney a start given that he likes a goal against West Ham. Tonight’s referee is Michael Oliver from Northumberland. Oliver took charge of the home defeat by Tottenham earlier in the season, as well as two West Ham games last season: cup defeat by Manchester City and the drawn league game with West Bromwich Albion. In fourteen outings this season he has flourished fifty eight yellow cards and two red ones. Merson is going for a 2-0 Everton victory while Lawro sees the Hammers winning 1-0. For me, all the omens are good and in a rare display of optimism I am looking forward to West Ham returning to London with all three points from a comfortable 2-0 win. Previous Previous post: West Ham To Hammer The Toffees?